Jessica Pierce has learned a thing or two about what hiring managers look for when finding quality candidates. 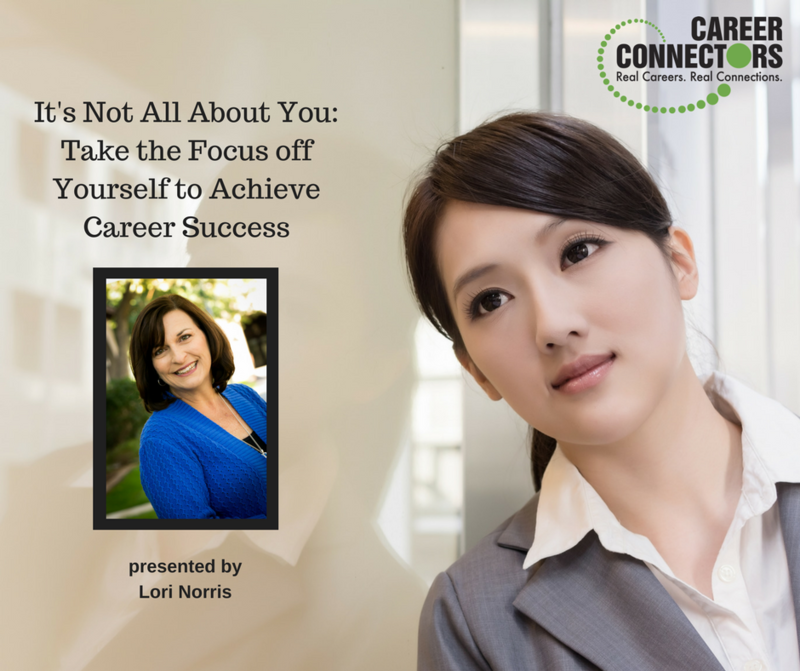 She owned her own staffing company, and is now the Founder and Executive Director of Career Connectors, a non-profit organization that connects professionals in career transition with hiring professionals and quality resources. 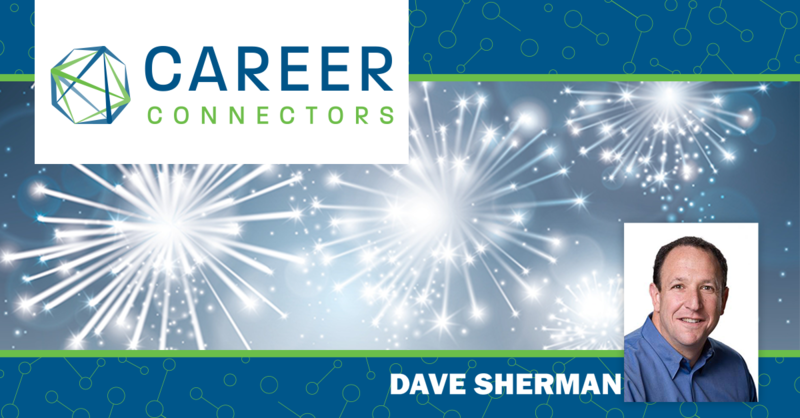 Career Connectors has grown from 25 people meeting for the first time for resume review and interview prep to the powerhouse non-profit it is today, serving more than 31,000 people and 750 companies in the metro Phoenix area. So when Jessica took the stage, everyone in the audience paid attention to what she had to say. Most people wonder why didn’t they get the call back for a job opening. They had the qualifications and experience, but it’s more than just that. If you think like a hiring manager, they are looking for quality candidates they know will do well in that position. If you apply online, you are just an email address, not a person. Think about ways to set yourself apart from the other applicants. You need to customize yourself. Employers and their hiring managers prefer hiring people they know. Companies with a referral bonus give certain candidates a prescreened option if an employee refers them. The retention rates of referred employees are higher than others, so this saves the company time and money. You should be connecting with the recruitment teams at your target companies, so they can get to know you. This is a step in setting yourself apart from the other job applicants. When looking for candidates, recruiters will tend to pull from their own networking pool first to fill the position. Jessica also promotes networking as an important component in landing your next job. Don’t get stuck behind your desk, applying for jobs online all day. You need to show up and meet people. Jessica used Anthony as an example. Anthony had been looking for his next position for months with no luck. Jessica got his commitment to actively network for four weeks. After the 4 weeks, Anthony felt like it was working, so he continued making these connections through networking. At the end of only 6 weeks, he had two job offers! Competence + Character + Chemistry = Culture Match. You will want to connect with others as your first step to getting hired. The audience took a few minutes to list three things each of us can do to connect with others. A networking event, career fair, even coffee with a friend can build those connections. Take a few minutes now to write down three connection points to help you build your own connections. The next step is competence. Think about your skills, knowledge, experiences, and accomplishments that can show your competency for job openings. Take a few minutes now to write down three of your competencies. Character traits are also important in customizing yourself. If you need help with identifying your characteristics, Career Connectors offers a DISC assessment online at no charge to job seekers. Based on your answers to a series of questions, the assessment will provide an evaluation of your behaviors and traits. Take a few minutes now to write down three of your own character traits. The third “C” is chemistry. First impressions are important, and most people know within the first few minutes whether there is a connection. When you meet the hiring manager face to face for your interview, the handshake is an important step in making the connection. Jessica says match the other person’s pressure with 2-3 pumps and let go. No lingering! She had each of us try our handshake with others in the room. Practice this with your family or friends so you are prepared with a good handshake. Remember these steps before, during and after your interview to help set yourself apart from the others. If you would like additional help knowing the winning strategies of networking for a job, Jessica recommends Molly Wendell and Executives Network. Molly has been dubbed “The Job Whisperer.” Her networking techniques are effective and proven to work. You now have a few nuggets of information that can help you think like hiring managers, and hopefully create that culture match with you and your new employer. Hiring managers want to find the culture match for their company, but you also need to know if the company is a good culture match for you as well. Use Jessica’s 3 Cs of Hiring to help you find the culture match that works for both of you. Goodwill has 22 career centers in central and northern Arizona with 3 career advisors at each location. They offer help with your resume, mock interviews, and more than 1,000 positions posted to their internal job board. All of these resources are at no cost to you. Stop in one of the career centers Monday – Thursday, 9am-3pm, and Friday, 9am-1pm. Goodwill offers donation drives across the state to support schools. They can bring a van to your location, and pay 10 cents for every pound donated. Then, Goodwill puts 90 cents of every dollar back into its workforce development. Denise and her colleagues at Goodwill are committed to the company mission of ending unemployment by providing sustainable employment opportunities and building stronger communities. Their company culture promotes a positive and professional work environment, a work life balance, career pathing and promotions, and community involvement. Established in 1978, Avesis is a dental, vision and hearing insurance company that has recently acquired Guardian. Avesis covers more than 8.5 million members. Founded in 1928, Farmers Insurance is one of the largest and most respected insurance brands in the United States. Farmers is a leading insurer of small- and medium-sized businesses, and also operates a rapidly growing financial services company. There are currently two locations in Phoenix, but all employees will be based at the I-17 and Pinnacle Peak location within the next few years. Farmers is looking to grow in the Phoenix market, hiring 300-400 new employees who have a passion for helping others and putting the customer first. Customer service: taking inbound calls from policy holders or field agents. This role needs decision-making and problem-solving skills, in addition to excellent communication and computer skills. Inbound sales: providing customer service and product knowledge for internal and external customers. This role pays a base salary plus commission, and must pass a licensing exam. To apply, go to www.farmersinsurance.com/careers. As Jessica Pierce mentioned in her presentation, the DISC assessment can be a valuable tool for identifying your character traits, the words that describe who you are. You can take those descriptors to match against job descriptions that interest you. The DISC assessment is offered by Career Connectors at no charge. Click on careerconnectors.org/disc/. The next event is in Gilbert on Tuesday, July 31 when Ted Robison presents “Get LinkedIn or Get Left Out.” On Thursday, August 9, Bridgett McGowen-Hawkins presents “From Transition to Triumph: Mentally Regrouping In the Midst of Career Change” in Phoenix. You won’t want to miss either of these amazing speakers and their relevant topics for your job search. Today’s job seekers are all too familiar with “the black hole”! It poses a frustrating threat and one that job seekers have encountered at one time or another. The job hunter quickly enters the “black hole zone” when they submit a resume online to a recruiter or employer. What happens is a waiting game. Most of us wait and wait to hear back on their expressed interest. Often the waiting game turns into weeks and months; and yet a reply never comes. In the past, the best job strategy to secure a new position was to get as many resumes and applications out to prospective employers as possible. It was a numbers game! Quantity was the battle cry of many and today you will still find many job seekers pursuing the same approach. Lori helped the group reevaluate their strategy and take the focus off themselves. In today’s competitive job market, the job seeker needs to set themselves apart from the crowd. Efforts need to be directed and reframed to a marketing perspective. You, the job seeker, are the product, and the employer is your customer. Think of yourself as a marketer! You are selling “YOU” to the potential employer. “You Are Not the Employer’s #1 Priority”! Unfortunately, employers most often find a reason not to hire the candidate rather than why the candidate should be hired. Therefore, it is the candidate’s objective to make it less about him/herself and all about the employer/customer. The two reasons companies hire are …. When an employer posts a position, they are expressing a need or problem that needs to be solved. Companies need to offset the money and time invested in hiring a new employee. Their goal is to find a candidate who brings the best value. Bosses want to find a new employee that will make them look good and at the same time are reliable, dependable, maintain a positive attitude; and saves/makes money for the company. Candidates need to share how they will help the organization! They need to focus on sharing the features and benefits of hiring them. HOW DO WE DEFINE AN EMPLOYER’S NEEDS AND PROBLEMS? S=Strengths: What the employer is really good at doing? W=Weaknesses: Where is the organization struggling? O=Opportunities: Is there possibility for professional growth? T=Threats: Who are the employer’s competitors? What are currently some of their competitor’s efforts? In advance, be sure to research your target and interviewing companies. Even better do it before submitting a resume/application. Those things you should uncover are the organization’s culture, product/services, history, organization’s structure & affiliates, statistics such as number of employees & sales, competitors, and career paths. Position specifics so that you can identify the company’s needs and problems to create a tailored resume and cover letter. Company website, Google, hoovers.com, corporateinformation.com, glassdoor.com. HOW DO YOU DETERMINE YOUR VALUE? Think of how you can help the employer with your strengths. Attitude is premier. Next what about you can the organization benefit from. It’s like buying a car! Not every car is for every buyer. It’s true for an employer. Focus on you and your skills, attitude and experience would attract an employer to hire you! Think of the benefits you can share with an employer. Paint a picture and statement of value. Lastly, determine those stories or what you did in the past that support your value. INSTEAD OF: I have great customer service skills. TRY THIS: My flexible communication skills and resourceful problem-solving style build long-term customer relationships that led to a 75% repeat and referral rate at my last employer. INSTEAD OF: I have a project management experience. TRY THIS: My ability to lead cross-functional project teams of up to 12 technicians and manage project budgets of up to $2M will enable me to make an immediate impact on the successful, on-time completion of your projects. Remember who has the most to lose. It is not the job seeker but the employer. Establish a list of personal traits such as good communicator and attitude. Then determine those skills that are transferable. Next what are your job specific skills. Be sure to highlight your skills in your resume/interview. Define what value and cost-effective changes you can bring to an employer with your specific skills. Lastly, refine those stories which will validate your skills. FINAL NOTE: WANT TO AVOID FISHING IN THE SEA AND THE BLACK HOLE — SHIFT YOUR FOCUS TO THE EMPLOYER! Paychex was founded by B. Thomas Golisanno in 1971. Golisanno invested $3,000 to make payroll outsourcing simple and convenient for small business owners. Its mission is to be the leading provider of payroll, human resources and employee benefit services by being an essential partner with America’s businesses. Today Paychex has over 13,000 employees in 100+ locations. The company has over $2.9 million in revenues. Its mission is to be the leading provider of payroll, human resources and employee benefit services by being an essential partner with America’s businesses. Paychex is a $0 debt company and is growing rapidly. They are adding employees nationally and 300 employees in the Phoenix area. The company has received numerous accolades including Fortune “100 Best Companies to Work For” and “Best Employers for Healthy Lifestyles”. Paychex locations and employees are consistently involved in the communities and charities they live near. Paychex has a robust benefits program and has such perks as $1,600 tuition reimbursement for each employee per year, employee stock purchase plans and retail discounts. Current openings include customer service, payroll specialist; time and labor online service advisor; field HR generalist; 401K service representative, 401K new client set up specialist; retirement services client relationship account manager; and sales representatives. If interested, visit the Paychex website. AFP/Accounting & Finance Professionals was founded in 1999 and strives to be the leader in high quality staffing of administrative, accounting and IT professionals. AFP has been in Arizona for 17 years; 63% of referrals come from clients or placed professionals; ranked #1 for 5 years in a row for direct hire placements; placed over 50K professionals in long term careers; and preferred vendor for the state of Arizona. Staff Logic is a sister company of AFP/Accounting & Finance Professionals. Focus areas include IT; engineering; customer service-call center; software sales; medical; administrative; marketing; HR; and executive search. For information and to express your interest contact Staff Logic. State Farm, a stable insurance company has been in business for 95 years. Its mission is to help people manage the risks of everyday life, recover from the unexpected, and realize their dreams. Opportunities are not limited to selling insurance. Additional employment offerings are accounting, financial & banking; administrative support; claim & investigation; customer service; facilities management & administrative services; legal, compliance, & risk management; human resources; marketing, design, & communications; research & analytics; sales support; technology & user experience; and underwriting& actuarial. Benefits are traditional and State Farm’s culture is “create, live, work and play environment”. The Phoenix area now hosts the brand-new Marina Heights facility in Tempe. The location is two million square feet area, 8000 employees, with retail space including Starbucks, Matt’s Big Breakfast, Mountainside Fitness, Honor Health, Grab-n Go, with more on the way. Immediate and ongoing opportunities are claim associate-express; claim associate-auto ILR; ccc sales rep; ccc service rep; State Farm Bank; claims (property, total loss, injury); and systems/IT. Feel free to visit the Tempe site which is open to the public. For more information or to apply, visit State Farm’s website. You may also apply online to open positions, and you may apply using LinkedIn. New Horizons has provided world-class training for over 30 years and over 30 million students. New Horizons recognizes that there are several learning styles and offers traditional, instructor led classroom training; online LIVE learning and online anytime learning. Learning tools are varied to meet the needs of students including hands-on labs, reference materials, practice exams, learning guides, coursework and exam preparation. The Phoenix location is a new state-of-the-art training facility. Information Technology programs, Office Management and/or Healthcare Records Management programs, and Project/Production Management programs represent education offerings. Some of the items included in tuition are books & supplies, labs, on-going career services and 6-month re-sit option. New Horizons does provide Job Placement Assistance. The school offers top IT Certifications approved by the GI Bill. Additional funding sources are available up to $4K through the WIOA Program. New Horizons has free classes in Microsoft Office, Excel, Outlook and PowerPoint. Visit New Horizons online. Jessica Pierce, Executive Director, Career Connectors, closed the meeting by thanking North Phoenix Baptist Church and the volunteers. 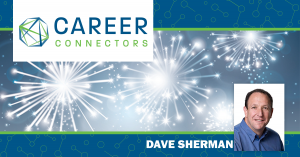 The next Career Connectors meeting will be in Scottsdale on Thursday, July 13, 2017 and features Carole Redden as speaker for the topic “Seven Strategies for a Seamless Career Transition”. For additional information on this event and future events, please visit the Event Schedule. Making meaning out of life’s problems and tragedies brings to mind John Walsh from America’s Most Wanted. Walsh certainly didn’t set out to be known for helping find missing children and prosecuting the perpetrators, but it happened because he was forced into a club no one would ever want to join—parent of a murdered child. I recently found myself watching a show where both John Walsh and his adult son, Callahan, were being interviewed, and realized his son participates in his parents’ life mission — to help families of missing and exploited children. While, hopefully, none of us will ever face in a whole lifetime, the pain of this family’s loss of a child in such a violent way, we all face problems and heartbreaks of our own in the course of living. It’s just life. What has amazed me over the years is the positive energy often generated from what started out as a negative event. I’ve been in awe. Our speaker today calls on all of us to channel optimism as we face life in all its beauty and its heartaches, whether it is job loss or one of the other of life’s surprises or detours. Kirk Wilkinson, world-renowned for his expertise in leadership and personal development, but no stranger to life’s ups and downs, remains an optimist in the face of the early trauma of abandonment by his mother. Kirk has faced job loss and two bouts with cancer, too. Kirk emphasizes that research indicates people who can somehow learn to be optimistic find more happiness, thrive, and even live longer! Give yourself more credit. He wants us to take the word “failure” out of our dictionary. Famous for his delightful popcorn, Orville Redenbacher failed many times according to some standards. Or, did he just find countless strains of popcorn that didn’t work? Research indicates that only 10% of our happiness depends on circumstances. A whopping 40% is programming. If your family was negative, you’re more apt to have that tendency. And 50% lies in circumstances we can control. Dream big. Don’t settle for less—just handle your dreams differently. Ask small questions, solve small problems, take small steps. For example, in the job hunt, consider the following actions. 1. Get up in the a.m. 2. Take time to define the job—in 30 words or less. 3. Spend a shorter time each day on the job search—do other things—take a walk or tend to other things which define you as a human being. Remember, you are not your job! Kirk has found that between jobs he’s managed to really enjoy life. Really. Eliminate the Drama. Learn to underreact. If you “freak out,” people may not tell you the truth. If you freak out, you also don’t think as clearly—for example—his son’s car broke down on the roadside just as Kirk was getting ready to get his precious, vital amount of needed sleep—so he decided to underreact…and he suddenly remembered he had roadside assistance. He didn’t need to get dressed and drive to rescue his son after all. Re-tell the stories you tell yourself. Everything happens for a REASON—BUT YOU get to choose the reason—YOU get to tell the story so that you are hero of your own story—so you don’t have to be a victim. Tell your story in a way that makes meaning of your challenges or tragedies. When he was eight years old, his Mother abandoned him and his siblings without warning. What could an eight-year-old possibly have done to have made his mother leave the family?—the answer—NOTHING—he wasn’t responsible. So in the retelling of his story—he avoids being the victim. Don’t let painful things that happen to you take away your optimism, either, like it did in Willy Wonka and the Chocolate Factory, where people were so caught up in winning the golden ticket, they not only stopped savoring the chocolate, they even stopped eating it! Remember, you can retell your story if you find just ONE positive thing. Because after all, who doesn’t want to be happier and live longer? All you have to do is be optimistic in the face of life’s inevitable ups and downs. Paychex has grown to over 13,000 employees in 100+ locations, providing a wide range of services including HR outsourcing, workers’ compensation, and Health and Benefits. With over 600,00 clients, the company is the proud recipient of many awards. These include being listed as one of “100 Best Companies to Work For” from Fortune, and “100 Best Places to Work in IT” from Computerworld. With these accolades and an impressive array of benefits, Paychex offers some exciting opportunities ranging from Senior Management and Information Technology to Corporate Marketing, Sales and Customer Service/Operations. The company website offers insight into the company’s culture, values, open positions, and even advice on interviewing with Paychex. VincentBenjamin is a fast growing staffing firm specializing in IT, Accounting and Finance contract and permanent placements. Michelle shared some great tips for anyone wanting to present themselves professionally: use a professional email address and leave out any photos on your resume. 76% of resumes are discarded for an unprofessional email address! She also advised us to scan our own social media presence, since recruiters will too. VincentBenjamin focuses on all levels of positions including CIOs, CFOs, Customer Service for clients, as well as internal sales and recruiter openings. More detail can be found online. DeAnne shared State Farm’s mission of helping people manage the risks of everyday life, recover from the unexpected, and realize their dreams. State Farm is in the process of building the Marina Heights facility, which will sit on approximately 20 acres and feature retail and restaurant space and a 10-acre lakeside plaza. Immediate openings include Data Scientist, Infra Analyst, Software Developer, Security Analyst, Bank Supervisor, Loan Processor, Customer Service and Sales Reps, Claim Associate, and Nurse Reviewer-Medical Resource. Read more about their Phoenix operations here. Thomas Rohn and Jamey Pugh offered suggestions for managing financial stress during career transition. Tom quoted renowned sport psychologist Michael Gervais, most well known for his work with the Seattle Seahawks. According to Gervasis, his approach emphasizes the root causes of an athlete’s anxiety. By learning to control their anxieties, the athlete can be in the present moment and that increases their ability to perform at the highest levels. Jamey presented five tips for calming that financial “lion” in the room, as Gervais refers to anxiety. Have a spending plan. Take a look at expenses you can eliminate or reduce, such as health clubs, cable TV and kids’ activities. Inventory your resources. Take stock of your assets, cash, funds and liabilities. Watch your debt (credit cards). It’s probably a good idea to pay cash and put the credit cards away for the time being. Protect yourself from loss. Don’t cancel insurance but consider cutting back wherever you can. Develop plan “B” in case the job search extends longer than you’d thought. Rohn Financial Strategies offers a one-hour consultation, budget forms, 401(k) rollovers and financial planning. Reach them through their website. Canyon State Institute offers only high-demand certifications based on labor market projections. Classes are small (limited to 6 people for most programs) and short term (4-16 weeks). Graduates are encouraged to audit the next set of classes while studying to pass the national exam, and are offered job placement assistance. The Career Advisor’s employment director has over 30 years of staffing services experience in Phoenix. Programs offered include Microsoft Office, Medical Support Specialist, Information Technology, Project Management, Human Resources, and Process Improvement. Funding is available through WIOA (Workforce Innovation and Opportunity Act), Veterans programs, DES Vocational Rehabilitation, TAA (Trade Adjustment Assistance), and educational line of credit. For additional information or to schedule a tour, contact Sheri or visit the website. Jessica thanked everyone for attending today’s event, as well as our host facility, Highlands Church. Jessica began the event by announcing she was on ABC15: Sonoran Living this week. She discussed Career Connectors and gave three points to jump start your career search. Have great collateral such as a resume and a good LinkedIn profile. And of course, networking is key too. She encouraged us to meet someone we had not met before and discuss our career goals before the speaker began. This transitioned perfectly into the keynote speaker’s topic. This was a great transition into the keynote speaker’s topic. When Paula thinks of resilience, her Aunt Irene comes to mind. She had a rare form of cancer. The surgery left her disfigured at 28 years-old. She came through, but the recovery was tough. Through it all, she had a great sense of humor. She was incredibly resilient. She went through ten years of reconstructive surgery. Some of the tools Paula suggested, her Aunt used. When we face trials, it’s very easy for our brains to go into a downward spiral. Our survival instinct is wired to look for danger. Then we see everything as a potential danger. Fear makes us want to keep things the same and not change. Many times we go to our strengths, but neglect our values. If you get a match between you and a company’s values, then you will be successful. Stuck on some good value words? Paula suggested googling images of values to brainstorm values. When you don’t know which way to go, Paula suggested Brene Brown’s Rising Strong. It talks of the reckoning, rumbling, and the revolution. Rumbling: What is your story? Own it! What is the truth of your story versus what are you making up in your head? Revolution: How do you show up to choose what you want to do? How do you change? A good book about change is Switch: How to Change When Change is Hard by Chip and Dan Heath. Paula suggested reading The Gifts of Imperfection. Brene Brown. What is your mindset? There is a difference in belief versus wanting. Belief is knowing with certainty versus wishful thinking of wanting. It is a shift in what your thinking and how you are feeling. You have control over where you are going. For shifting to a positive mindset, Paula recommended Barbara Fredrickson’s Positivity and the 3:1 Positivity Ratio. Negative emotions are much more powerful. You need to outnumber the negative with more positive emotions. You can’t be in denial and stuff your negative emotions. But you can shift your daily habits. It will make a huge difference in how you show up. Think about your daily routine. Where do you have opportunities to shift? What is the reality of what happened versus our interpretation of the events? How can you re-write that story to a more positive way? What would your best friend say they love about you? For more information on Paula and to visit her blog, go to www.internalGPS.com. Based in Rochester, NY and now reaching into the Phoenix area. They provide any solution and HR department would do. Not every company would have a system for themselves. Le encouraged us to look for companies that know why they do what they do. Do you want to work for a company with a product or with one that makes the world a better place? In Arizona, Aetna has seven Phoenix area locations with an eighth in Tucson. They have seven thousand employees in Arizona. The core of their culture is the people they serve. It drives what they do every day. Across the country, they have one thousand career opportunities today. They are part of Allegis Group and are one of seven divisions. If you are not specifically in the tech industry, they may have other roles. Schwab believes in the power of investing. Chuck began the company forty-three years ago and wanted to create a bridge between the average person and investment. To apply, go to http://tiny.cc/careerconnectors and set up your profile. Look at their talent board even if you don’t see a position you want right now. DWTC is a professional certification training school. They have several certification including digital marketing and social media strategist as well as cyber security certifications. Teach in multiple platforms including online and hybrid classroom and online options. Over 95% of students pass their exams on the first try. 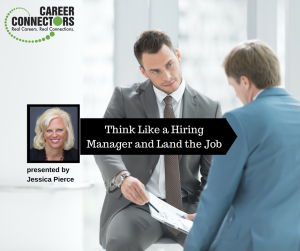 Jessica Pierce reminded us to take a free DISC assessment through Career Connectors and Top Talent Consulting. The next Career Connectors Event will be in Gilbert on Tuesday, January 26. Abby Kohut will be speaking on “The Benefit of Being Overqualified.” Career Connectors is also partnering with Best Companies AZ to bring the Military Career Event on February 17. For more information, please visit the events page.